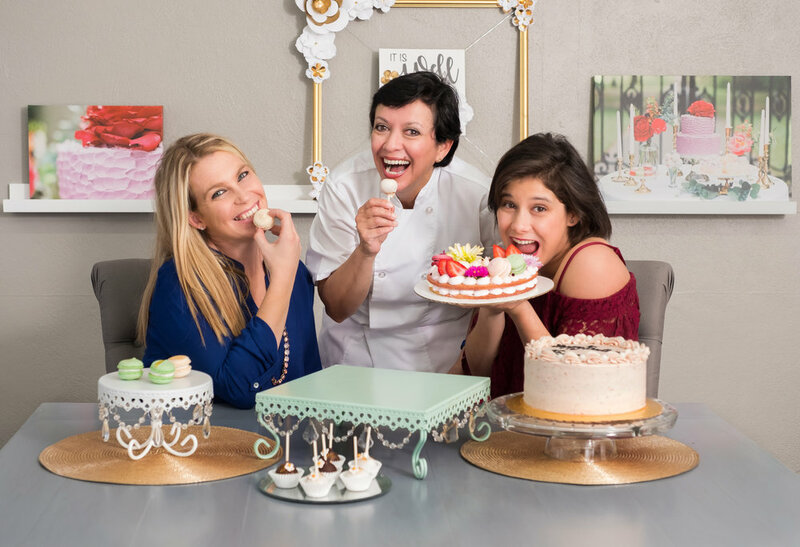 Founded in 2011, Pink Pineapple Cakes was inspired by the generosity of others, a passion for baking and a desire to celebrate the sweeter things in life. Founded in 2011, Pink Pineapple Cakes was inspired by the generosity of others, a passion for baking and a desire to celebrate the sweeter things in life. The business is owned and operated by a mother/daughter team. Before opening their doors, the family fell upon hard times, and Aura, a loving mother and passionate pastry chef, was forced to move her family from their home. A sweet family from Aura’s church volunteered their beach house to ease the transition. This new home was located next to a beautiful, two-story pink house named “Pink Pineapple” – a fitting symbol of hospitality and a source of hope for the family. When the family had an opportunity to open a business of their own, there was no better name. Tante Marie Culinary Academy with studies in Le Cordon Bleu and the Brooklands College for Sugar Craft. She raised her daughters in England and later completed her training in America with a BA in Culinary Arts and Management from the Art Institute of Ft. Lauderdale before relocating to the Grand Strand. 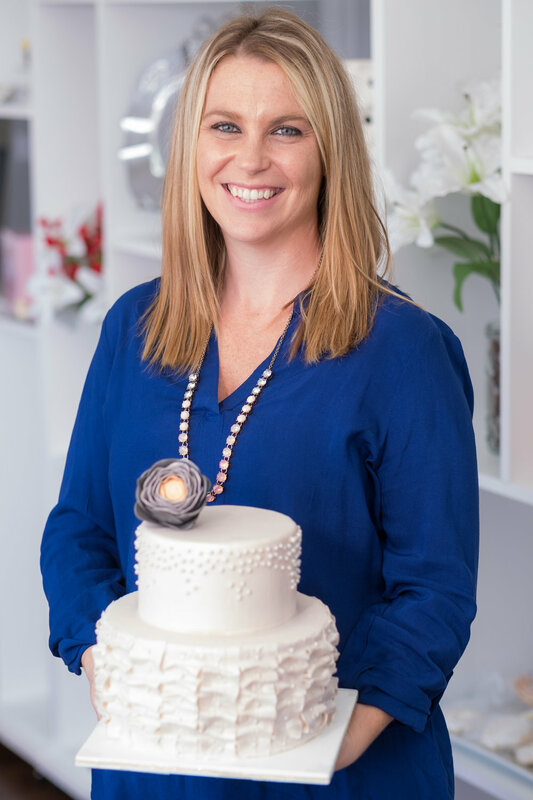 Owning a cake shop has always been a dream for Aura; one made possible with the support of family and friends. Aura’s daughter, Rebeca, has adopted the dream as well, and together they are bringing it to life. They have worked hard to perfect a menu of signature cakes and invest a great deal of energy and time into every order. 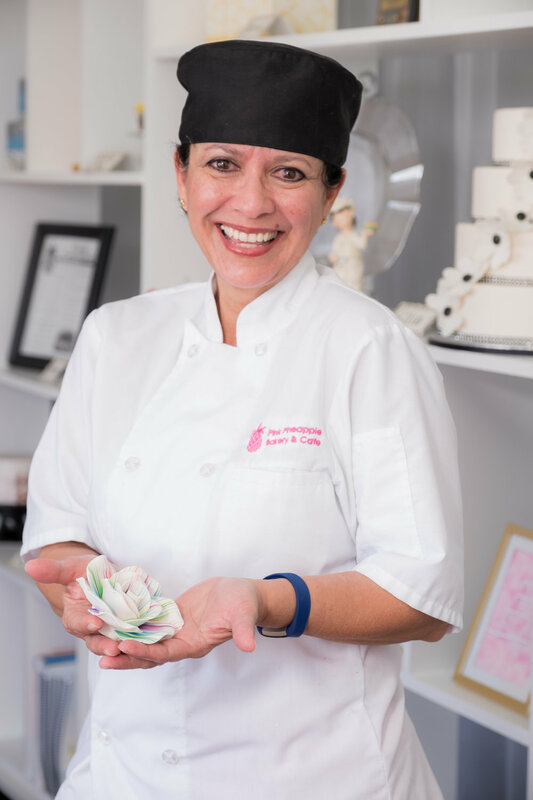 Every Pink Pineapple cake is specially made with love because Aura and Rebeca believe that every occasion is worthy of a special treat!